CBS has shopped The Good Fight to HBO in Europe and Zee in India. 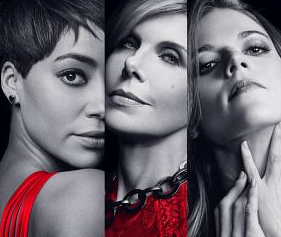 The Good Wife spin-off is on CBS All Access streaming service in the US and has just been renewed for a second season. The ten-episode first season will launch on HBO’s Nordic service at the start of June. HBO Nordic has taken exclusive rights across its footprint. In India, Zee has snagged the series for Zee Café. It is the second major programming deal the channel has agreed this week after it secured a raft of UK dramas via a BBC First deal with BBC Worldwide. In India, Zee has taken exclusive pay TV rights. It already runs the series’ forbear The Good Wife. CBS Studios International distributes the drama series and struck the HBO and Zee deals. It has already sold The Good Fight has already sold to More4 in the UK and Amedia in Russia.